The Black Library Advent Calendar is a yearly tradition that a lot of people look forward too. There are usually a bunch of great gems within the short stories put out, both on the Age of Sigmar side and the 40k/30k side. 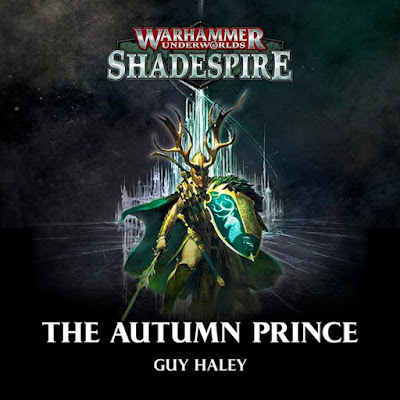 This year had some really great AoS stories, including three Shadespire audio dramas and several continuations of characters we've met in previous novels! This was the first AoS story in the calendar, and also an audio drama. 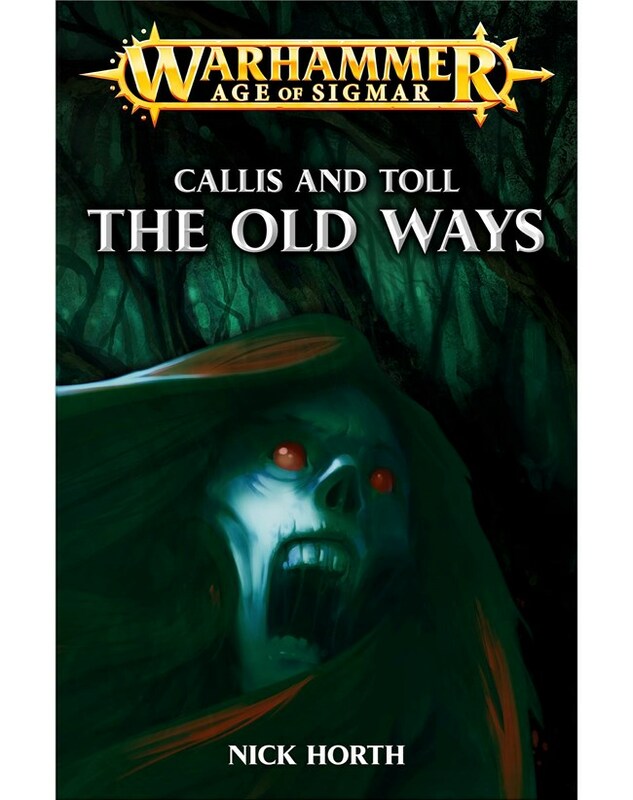 I've been looking forward to another AoS Audio Drama since the Knights of Vengeance series, and the production values on this one don't disappoint. All of the acting is top notch again, and the sound effects and music are just as good as I remember. If you haven't listened to an audio drama from Black Library yet you're missing out. It's so much more than an audio book. It's more akin to a TV show with only the audio. 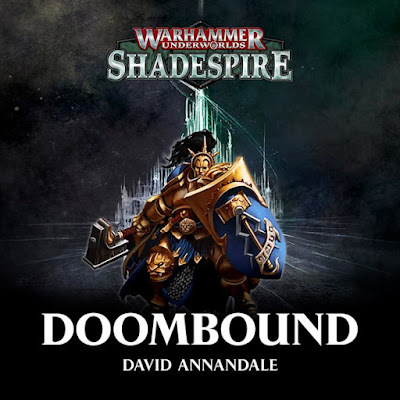 The story its self takes place within Shadespire, and focuses on two Stormcast Liberators from Steelheart's retinue. As they wander through the ever shifting streets of Shadespire, one of the Stormcast, Grimwatch, begins to see things that may or may not be real. Though a Stormcast's past is once removed from them thanks to the reforging, it appears the magical nature of the city has brought his past back to him. 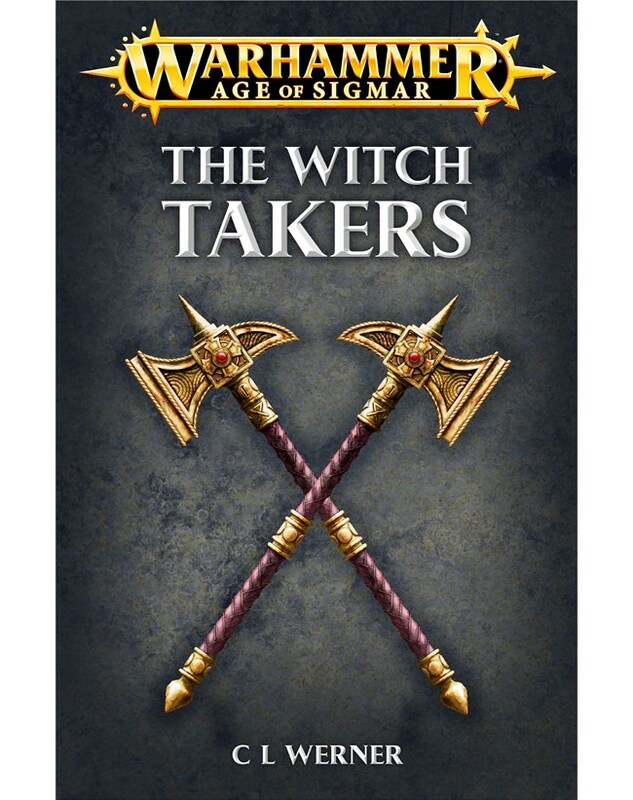 Without giving anymore away, the rest of the story is pretty good, and gives you a sense of the disconnect there warriors of Sigmar experience in their life. 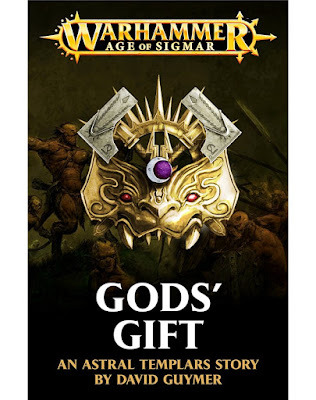 My one criticism would be that this felt more like a Stormcast story, and not so much like a Shadespire setting. Though it takes place in the city, it's much more focused on Grimwatch's past and the consequences it has on the future. It's a great topic for these immortal warriors, and one that has plenty of stories left to write about. I was just a little sad it didn't utilize the city of Shadespire itself a bit more. I enjoyed the story though, and at 23 minutes, it felt pretty substantial. 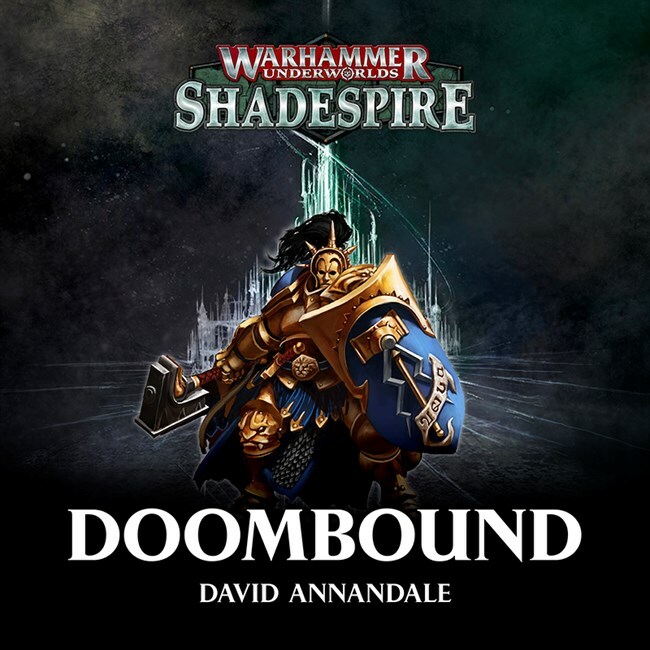 If you like Stormcast and want to explore the twisted aspects of their past and memories then this is definitely a good listen. This, this was a story worthy of the name Hamilcar Bear-Eater. Wow, what a fantastic read, and one that definitely has me excited for the forthcoming novel length story about him from David. Hamilcar was introduced back during the Knights of Vengeance series, which is the second half of the Mortarch of Night novel. As a Lord-Castellant of the Astral Templars he has a particularly feral aspect to him, a trait shared by most of that Warrior Chamber. Where other Stormcast are sterile and rigid, the Astral Templars have daubed their armor with tribal signs and commonly where animal pelts. They are bombastic and loud, and none more so than Hamilcar himself. He revels in the stories told about him and his exploits by the mortals of the realms. Here we see him helping a woodsman in the Gorwood after the rest of the mortal's people had been slaughtered by some great, unknown beast. I don't want to spoil the outcome of the story, but everything about it was great. The pace was perfect and every single sentence in here served its purpose. The coolest thing about this story to me, is that it's written all in the first person, something we've only seen once before for the Stormcast. It really lets you get inside his head and his thoughts, and all of the insecurities and doubts he has. Hamilcar is a fascinating, well rounded character, with a decidedly fun twist, considering he's basically the Stormcast who would say "hold my beer" before charging into some impossible situation. I can't recommend this story enough. Read it. Really. Go read it now, I'll wait. This entry by C.L. Werner is a pretty straightforward tale, but with a few interesting twists added in. Two agents of the Order of Azyr, Talorcan and Esselt, are on the trail of a potentially disastrous artifact. When a group of grave robbers unearth a tainted artifact of Khorne from a tomb deep within the deserts of Chamon, the fury of the Blood God is unleashed, but in a new and unique way. Instead of it being a champion of Chaos who is rampaging across the sands, it's the artifact itself. Possessing its bearer with an insatiable blood lust and an inhuman stamina for physical punishment, the artifact is constantly looking for a new host, letting its past one die when a new one comes along. This leads the Witch Hunters on a chase from one massacre to the next, always a few steps behind, but getting closer with each scene of devastation. The final confrontation is done in a unique way as well, with my only criticism being that the very end felt a little rushed. The coolest parts about this story to me were the unique twists on the setting. Having it be about a tomb robbing in a desert already had my interest piqued, but then it was a desert in Chamon, which meant the sands were silver. It felt very AoS while still having the familiar desert tropes of nomads, caravans, and the typical desert city. I definitely enjoyed it, and while Talocran and Esselt were interesting enough, its the setting itself I would like to see more of in the future. This was a really fun read, especially if you've read City of Secrets, which I think a lot of AoS fans have. The duo from that novel, former Freeguild officer Callis, and Witch Hunter Toll, are on a new mission from the Order of Azyr. Outside the walls of the city of Excelsis, deep in the forests and swamps that surround it in Ghur, lies the town of Marshpoint. Ruled over by two important families from Azyrheim, the Junicas and the Dezraeds. This seeming backwater is important for it's supply of silksteel, which is used to armor the Freeguild Regiments of the city. When Lord Junica's firstborn son goes missing, blame is laid at the feet of the Dezraeds, stoking an old rivalry. With the supply of silksteel interrupted, it lies with Toll to get to the bottom of the dispute. This story is just plain old fun. No Stormcast are seen at all. Instead it's just normal humans, doing the things normal humans do best, being spiteful and distrustful. It feels like a detective story, with an air of dread around it. When it is discovered that Junica's son was last seen being pursued out into the marshes by some of Dezraed's men, an expedition is launched and the action picks up. This was super atmospheric, and very effective at the creepiness level it was going for. It felt like a true horror story, with real stakes. As you might be able to tell from the cover, a Banshee is involved, and it was a great depiction of that ethereal horror. There are twists and turns throughout, keeping you captivated the whole time. The best part about it for me though was how effective Nick was at describing the setting and how creepy he managed to make it. This is also a fairly long story compared to some of the other Advent stories, so you're definitely getting your money's worth from it. If you were a fan of City of Secrets I would definitely recommend it, since it carries on the tale of the two leads from that book. 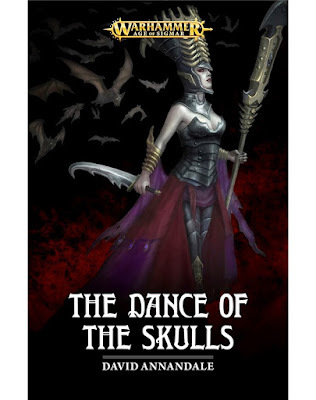 This is also great if you're a fan of the Undead, and really, just a good read in general for any AoS fan. Especially if you're looking for some smaller scale, regular mortal adventures. It would have felt at home in the Old World, but also has plenty of AoS flair added in, like the giant mantis like creatures they use to traverse the swamps. Another audio drama, A Place of Reflection makes good use of the format, with lots of dialogue and great atmosphere courtesy of the sound effects. Just like the last one, this is set within Shadespire and also finds us following a Stormcast Eternal, this time Moribus of the Sons of Mallus. He wanders the broken streets of the city with some of his brother warriors in search of a Hexwraith who has a valuable piece of Shadeglass. The hook of the story though is his own fragmented memory. We get little snippets of humanizing elements as they search, like one Stormcast who hums a tune while he walks, and Moribus, who recounts all of the ways he has died. He lists them off one after another, the first, the second, the third, the fourth, until he reaches the fifth and his memory fails him. When the Nighthaunt appears before him he chases after it, quickly losing his brothers in the process. Once isolated and confronted with the Hexwraith his faulty memory once again starts playing tricks him until we reach the grim climax of the story. I really, really liked this one. 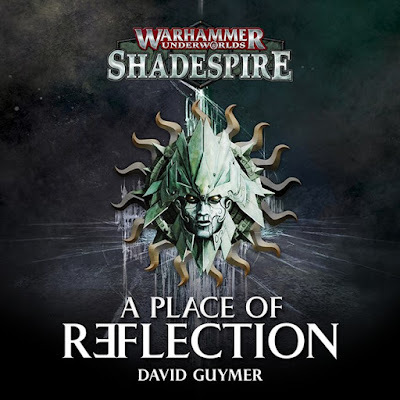 It plays off of one of the most interesting aspects of the Stormcast, the cost of their reforging, which is also the reason Sigmar sent them into Shadespire to begin with; to try and find a better way to retain their memories with the Shadeglass. 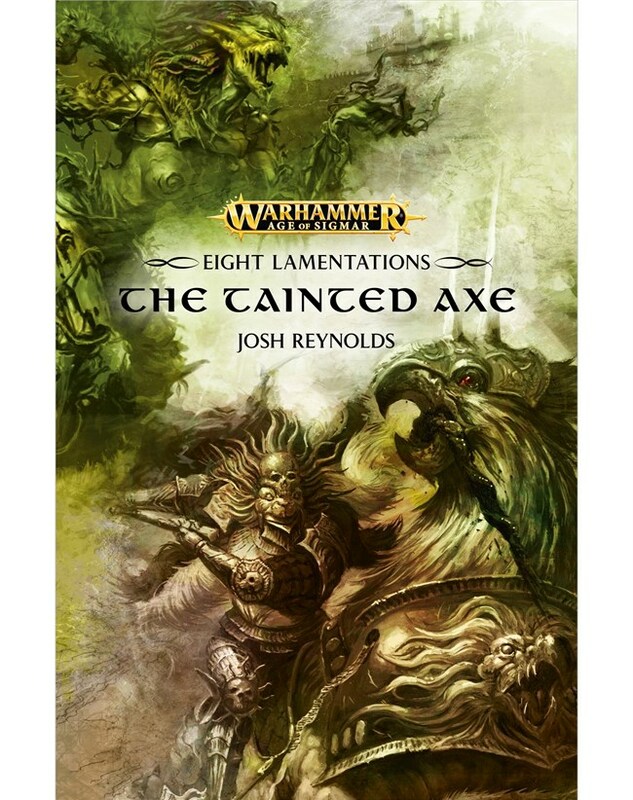 This is a pretty tragic story, and fits in perfectly with the setting of Shadespire. I think this story capitalizes on it's setting perfectly, surpassing Doombound in its handling of the macabre, and twisted environment. I won't lie, it was nice to see some Nighthaunts in here too. Just like in the other one, all of the voice acting is great, with the actor for Moribus really carrying the story. This is a great little psychological horror story and one I would definitely recommend. Right off the bat this is an AoS story from Josh Reynolds, so you know it's going to be good. Making it even better, it's a mini follow up to Spear of Shadows, following the knight Roggen after he has returned to his order's keep in Ghyran. I love seeing continuations of characters like this, even if we are going to see him again in the next novel, it's nice to know what he was up to in between. The little things of seeing him adjust to not having one of his hands anymore is very humanizing, and all the other details about his knightly order are fascinating. Like the moss plague that afflicts some of them. It's great world building. The story really kicks into gear though when one of Alarielle's branchwraith handmaidens requests Roggen's services in exchange for a new hand. Deep within one of the forests lies a weapon of great power which previously belonged to a champion of Nurgle. Now that axe is tainting the land all around it. To help the knight retrieve the weapon, the branchwraith gifts him a simple burr imbued with the spirit of a forest spite to guide him. This provides for a bunch of the dialogue and conflict throughout the middle part of the story, as Roggen attempts to converse with the spite, as well as figure out whether it's truly trying to help him or just lead him in circles. The final confrontation obviously includes some of the forces of Nurgle, and in this case we see Josh's favorite, and my favorite to be honest, putrid villains return; the Order of the Fly. It's a great foil seeing Roggen's knightly attitude reflected darkly in the Nurgle knight's own. 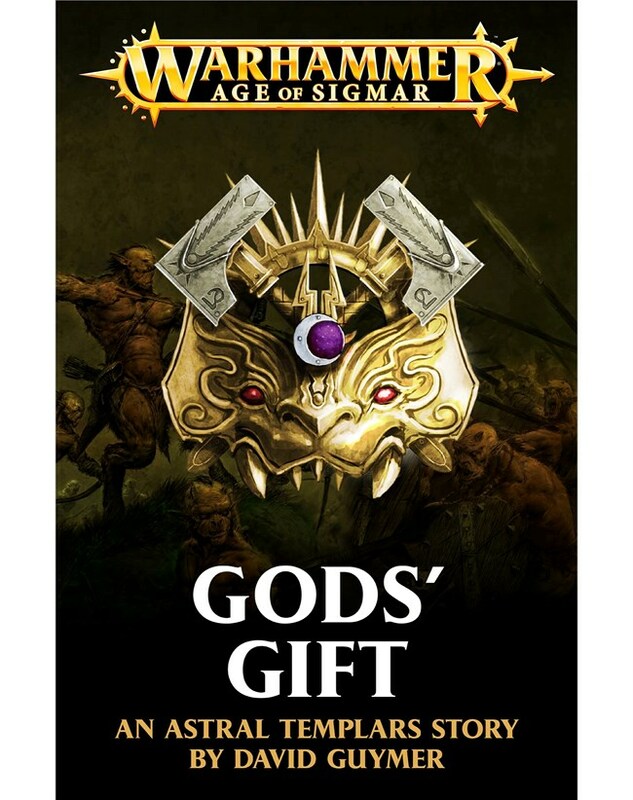 This story doesn't dissapoint, and I would say it definitely one of the top AoS stories from the Advent Calendar. I would recommend reading Spear of Shadows first, since it will give you more context on Roggen. There are also very mild spoilers for Spear of Shadows in here if you hadn't read it. Neferata makes a return in David Annandale's first outing with her. Seeing as how he has a full length novel featuring her slated to come out this year, this gives us a little peak into what we might expect. When the story starts we are thrown right into the mix, with Neferata and her court arriving at a rival's city for a ball thrown in her honor. There is definitely a victorian feel to everything that's going on here, and also a much more subtle type of action, which is perfect for the Queen of Mysteries herself. Queen Ahalaset has teamed up with a mutual rival of Neferata's, Lord Nagen, in a scheme to try and end her reign. Neferata is of course, aware of all of this from the start, and is looking for a way to turn the tables on the pair and come out on top. What follows is a rather polite outing between the three vampires as the lie, connive, and try and outwit each other, all in the setting of a macabre ball. It's a nice break from the battlefields we are used to from AoS, but also a bit jarring. To be honest, it felt a bit more at home in the courts of Sylvania from the Old World than it does in AoS. While I still prefer some of the other representations of Neferata out there (she's been written by quite a few authors now in AoS), David does a good job at handling the more diplomatic sides of her when not at war. This wasn't one of my favorite stories from the group, but if you like Vampires and intrigue it's a good read. It has some interesting twists set up and is all rather self contained in the end. It just felt a bit odd since it seemed like a lot of the AoS undead stuff has been trying to distance itself from the victorian angle of old Warhammer. 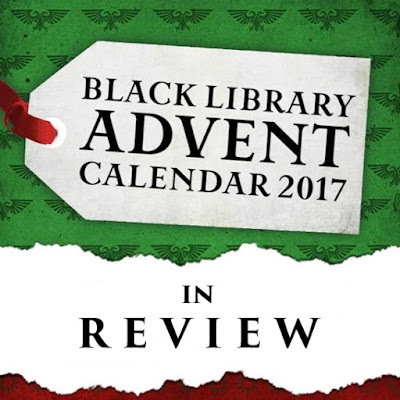 The last story in the Advent calendar, and also the last of the audio dramas, we once again return to the cursed city of Shadespire. This time we follow an aelven Wander prince, Maesa, who seeks entrance to the city for his own ends. We meet up with him as a band of human mercenaries battle through a horde of Skaven to show him a secret portal into the city. The bit here about the human who gives him the key to the city is great, as well as the follow up the prince has with the forest spite he has made his prisoner. I don't want to ruin anymore of that part, so I'll leave it at that. The forest spite is an interesting addition, as he's played as a rather malicious being who has been forced to serve the aelf. He acts as both the devil on his shoulder and a voice of caution, allowing us to hear in dialogue a lot of what might have been internal thoughts in a written story. 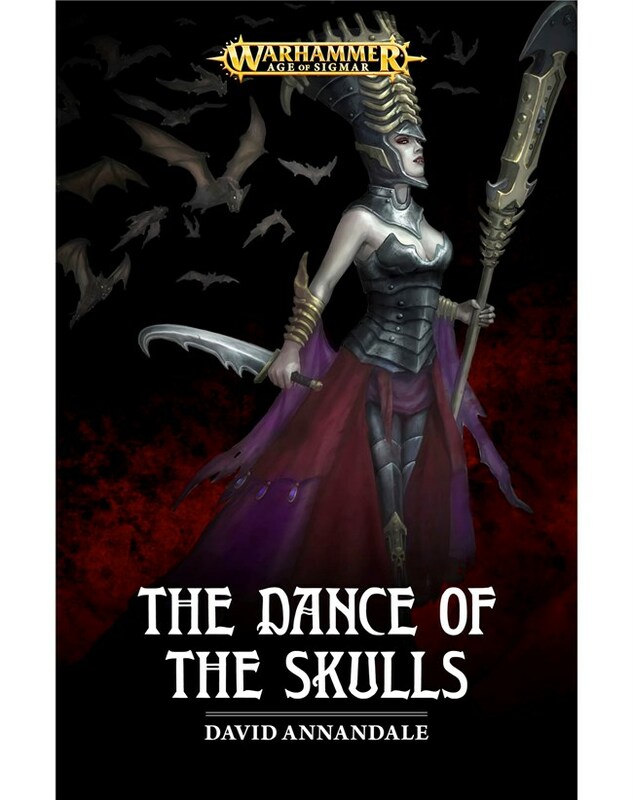 In a rather unique twist for any Warhammer story, Maesa has ventured into Shadespire in search of a way to bring back his lost love, a human female who died of old age long ago. It's a really interesting story hook, and seeing any type of love story in this setting is refreshing, especially one that is cross racial like this. With the knowledge of the Katophranes he hopes to cheat death itself and bring back his beloved, the only thing he truly cares about anymore. The end of the story is really good, and I really enjoyed it throughout. It's such a unique story, from its premise, to its lead character, to his motivations, that it's really unlike anything else in AoS so far. I hope Black Library continues to incorporate elements like this into its stories more. I know the Warhammer settings are mostly about war, but love is such a strong element of life that when it's brought into the fold it really helps sell the story. Now, I definitely don't need to see it used all the time like in most Hollywood movies, but every now and then would be great. The only issue I had with this drama was some of the voice acting. At the start the Skaven sound really weird to me. They don't sound like ratmen, they just sound like people doing weird voices. The voice of the spite was a bit odd as well, but it grew on me. 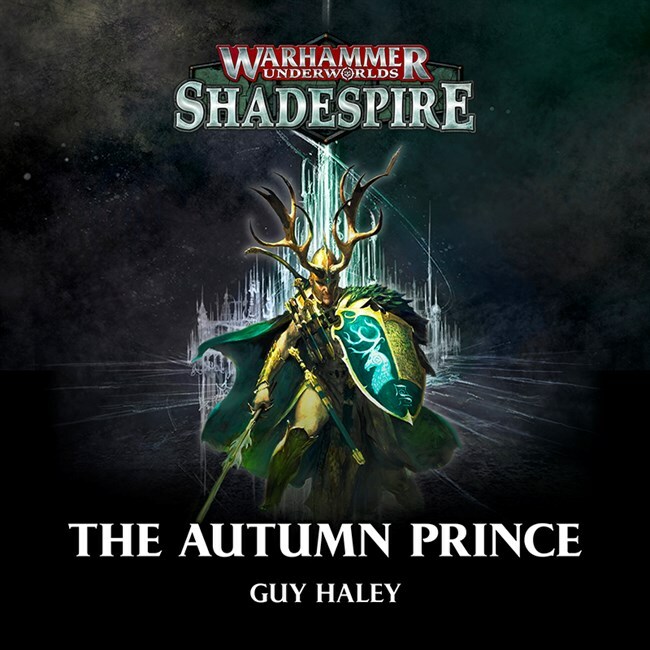 I highly recommend The Autumn Prince, especially since it touches on so many previously untouched elements of AoS. I really enjoyed all of these, and they were definitely fun stories. 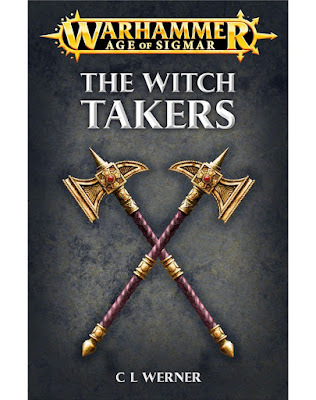 Some were better than others, which is only to be expected, but at only $3.99 a pop, if you enjoy AoS fiction, you'll enjoy pretty much all of these. I would love to have gone over some of the 40K/30K ones as well, but I just didn't have the time. The Assassination of Gabriel Seth was great, and I plan on digging through some of the Heresy ones as well. I really like how many of these continued on character's stories from previous books, helping bridge the gap while we wait for the sequel. It's really nice to see some Shadespire fiction as well. This is something I had really wanted when the game first came out, so I'm excited to see it now and I hope we continue to see more stories set in the cursed city.